End-of-summer savings going on now. Happy Anniversary, Leslie! I love you. 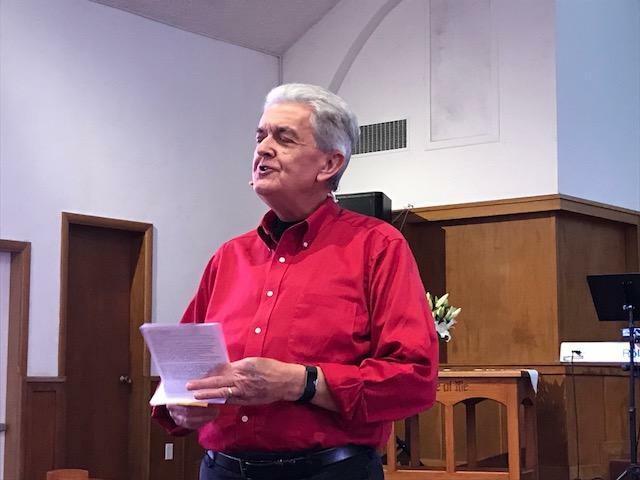 What a joy it was to have some great mentors in our lives bless us with their presence and spoken words: Dr. Gerard Reed spoke briefly in our wedding while Dr. Frank Carver performed the ceremony. Life’s journey has been great with Leslie, as she can do almost anything. 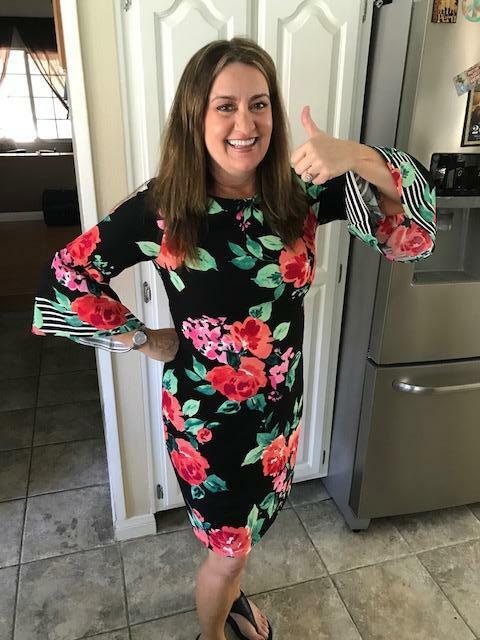 She has been an incredible partner in ministry and has helped me raise a wonderful family where we are blessed to have two wonderful girls, I mean, ladies! One is married and living in Oregon and one is working as a flight attendant living in Philadelphia. 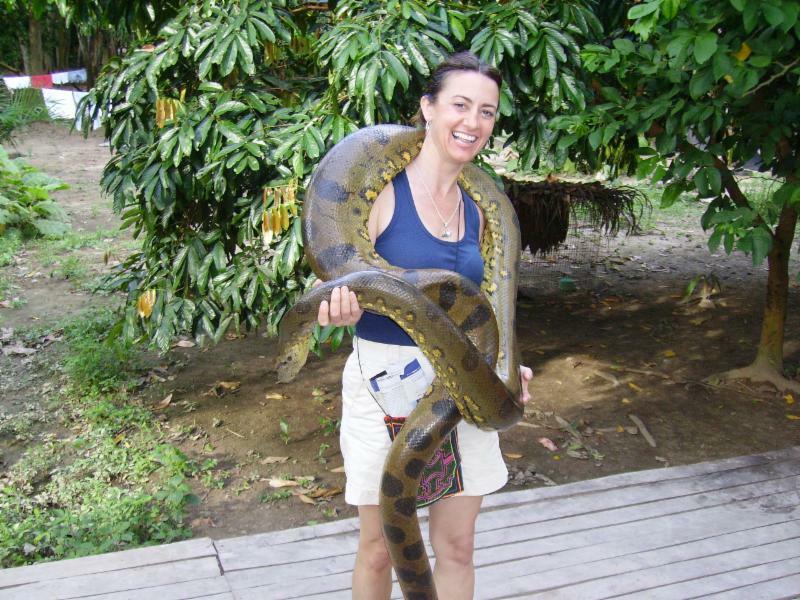 Leslie will try anything and everything, even if it means wearing an anaconda around her neck or eating grub-worms, and I know deep down in her heart she really knows that they are the best! Rioting is as old as the hills. Rioting is found in every country in the world and in nearly every culture. People don’t like what they hear… so they riot. I find it interesting that even in our first world country, rioting is quite huge here in the states. I’m amazed that after a sporting event, such as the World Series, Super Bowl, NBA Finals or whatever, when the team loses, fans will often go out and riot. But now, in these recent years, when we win we’re going out to riot, flip cop cars upside down and burn the city. Say what??? As you well know, soccer has been my favorite sport to play and even watch, going way back to my days as an MK in Peru. Unfortunately, this year, Peru fell short and did not advance out of group play. 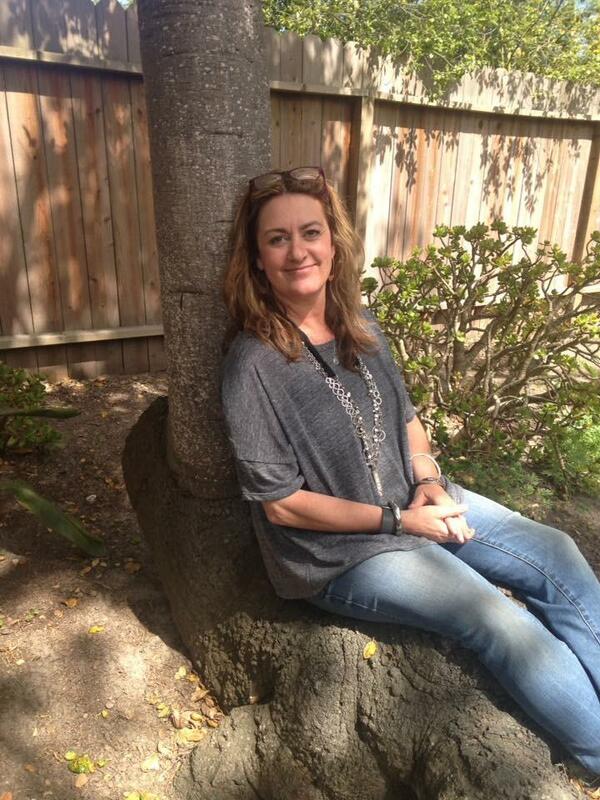 There are only 2 teams remaining from the Americas: Brazil and Uruguay… I am rooting for both! 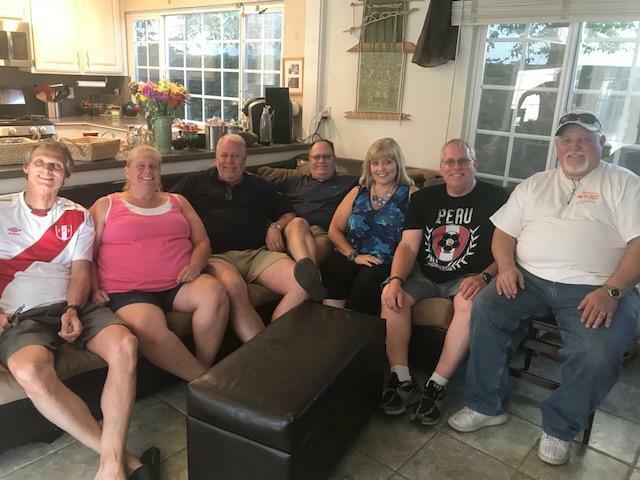 The week following District Assembly, a group of us Nazarene MK’s met at our house to watch some matches in the World Cup and eat Peruvian food. We had loads of fun. Here we are in this photo… a few years later. 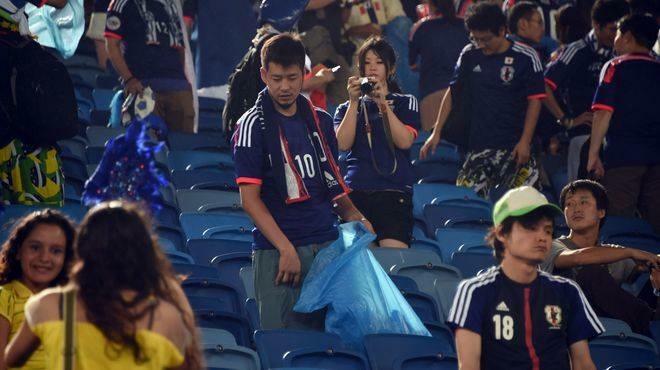 But what really fascinated me was the Japanese World Cup Team. They made out of group play but were eliminated in their first game in the round of 16. As they left the soccer field to return to the locker room, they showered, and then they did the incredible! 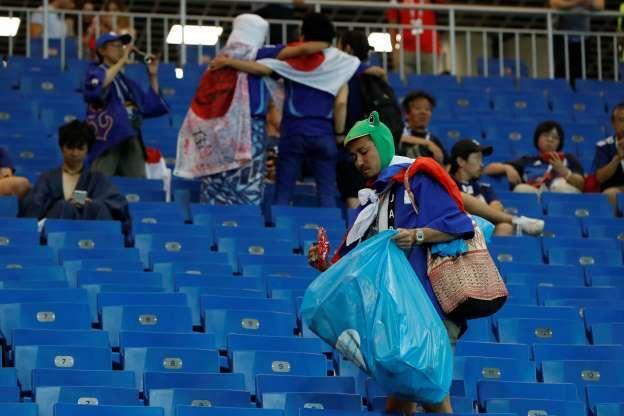 You see, one of the elements I really appreciated about the Japanese, following every game Japan played the fans went through the stadium with trash bags cleaning up, not only after themselves, but all other fans as well. 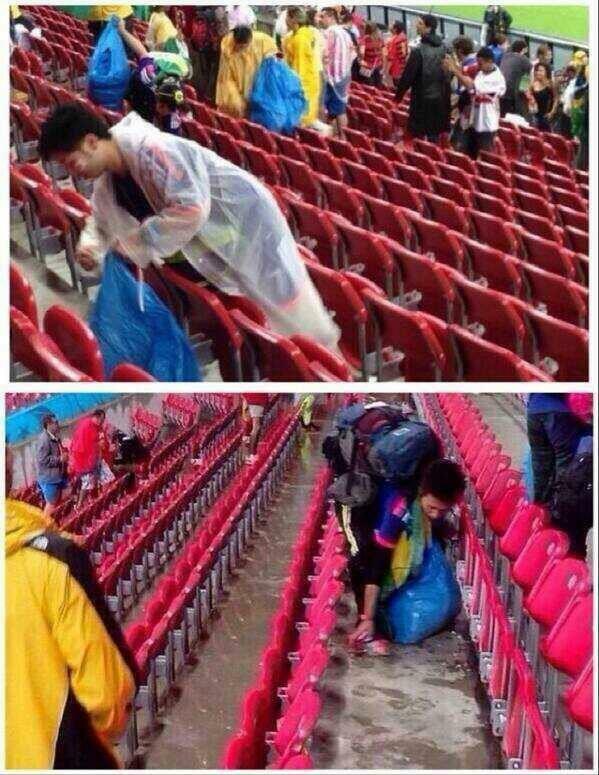 They not only did this is in the stadiums, but through the streets as well. Every game they played in! 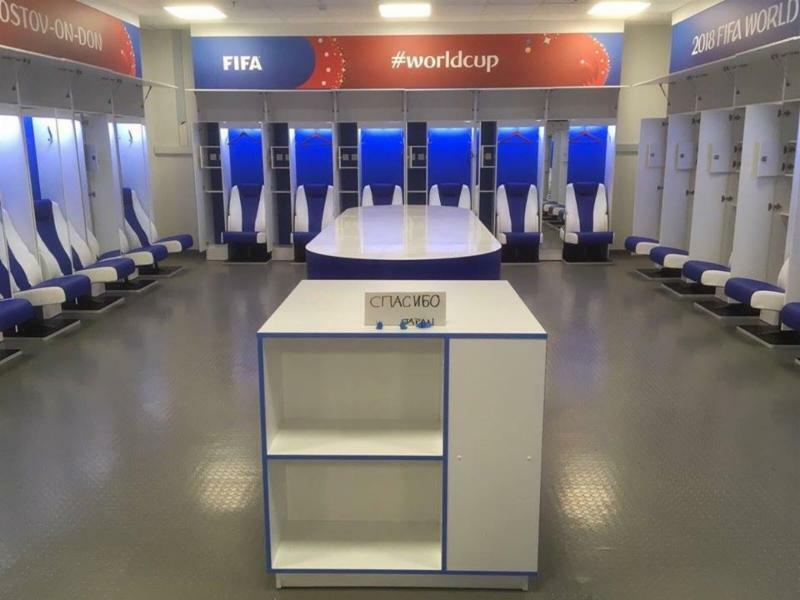 After their final loss, and before the team left the locker room to head home, they wrote out a “THANK YOU” note to Russia and FIFA for their time in the World Cup and left it in the locker room. They also cleaned up the locker room, leaving it cleaner than the way they had found it. What an incredible display of sportsmanship and character! Might we and the rest of the world take note on how to live rightfully. I love this story. Things don’t always go our way, but we can still live with a grateful heart. The Apostle Paul did this very thing as he traveled from city to city. My goal is to shine my life and my light, everywhere I go for Jesus. He is the light of the world. 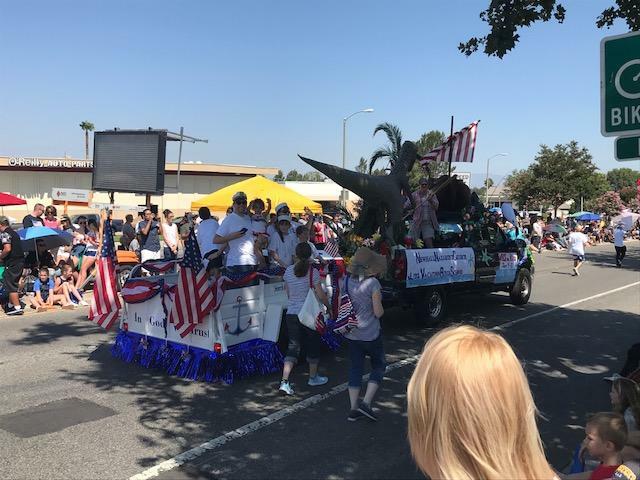 · VBS : On July 4 th Leslie and I were able to hop over and see the big parade in our city of Santa Clarita, immediately following the two races I was able to participate in. 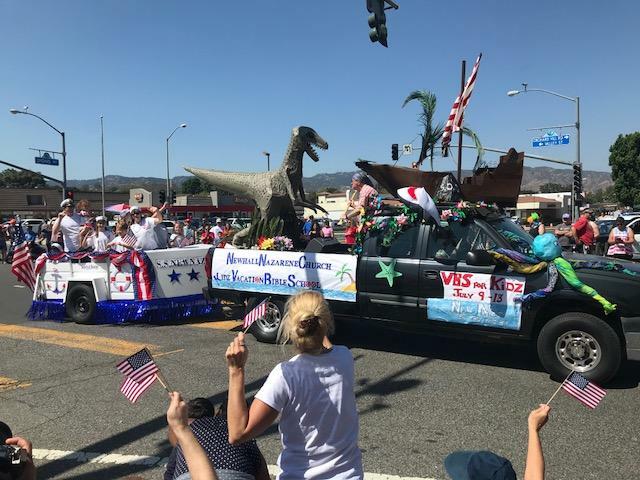 How fun it was to see the NewNaz float as they were advertising their upcoming Vacation Bible School. Thank you, Pastor Josh and Courtney Johnson and your leadership team for such a great presentation. 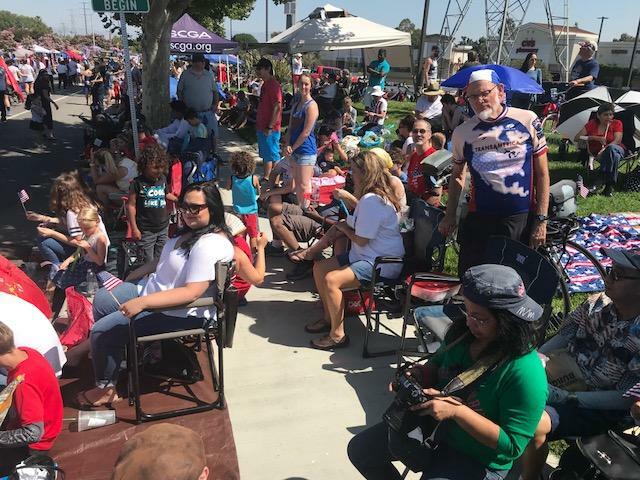 · Ventura Powerhouse : Last Sunday Leslie and I were privileged to worship with our brothers and sisters in Ventura. 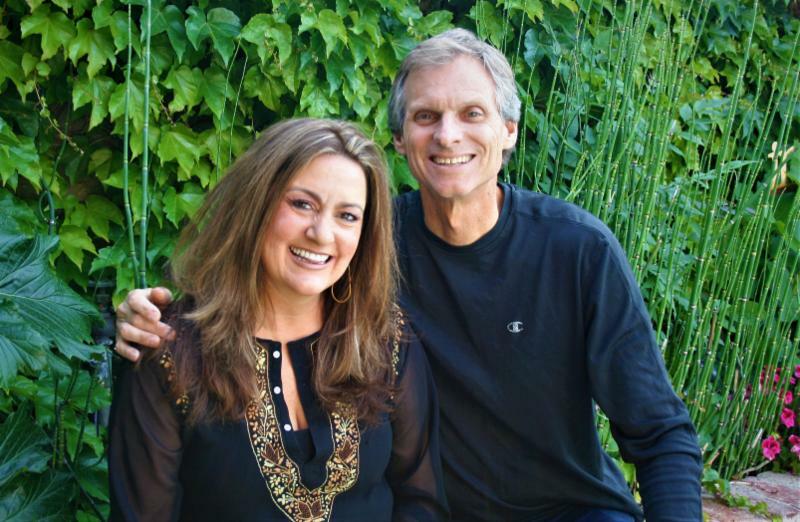 Thank you, Pastor Dan and Lisa Hull, for your wonderful ministry in this beach city. I also thank you for the many puppets and stuffed animals you donated for the Work & Witness trip to Peru. May the Lord lead you all this summer! · Thank You: On behalf of the 16-member team from across our district and the people in the Amazon, let me thank you for your many contributions made for the upcoming Pastors & Spouses’ Conference in the Amazon. We are loaded with all sorts of great things to give away: sewing items, kitchen utensils, puppets, stuffed animals, toys, and so much more. You are all wonderful blessing and we hope to have pictures for you to see not long from now. 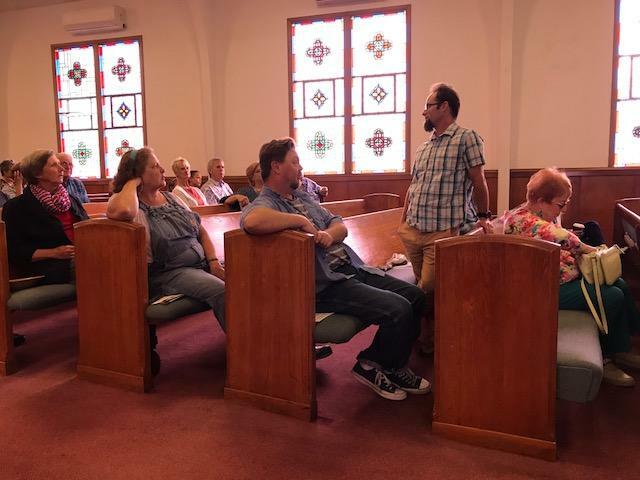 Pastor Alejandro Castillejos from Elysian Park: The week before assembly he had issues with blood clots in his legs and was recently taken to the hospital, again, and had surgery on his legs, Tuesday, July 3. Please pray for his full recovery. Pastor Oto Flores lost sight in his one eye the week following assembly due to internal bleeding in the eye. He has been going to a few specialists to determine the best course of treatment. Please pray for his vision to be returned. 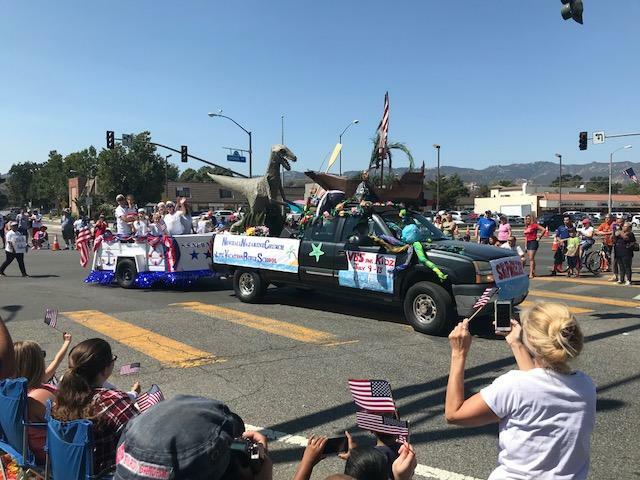 Altadena Fountain of Life is celebrating their 92nd anniversary. 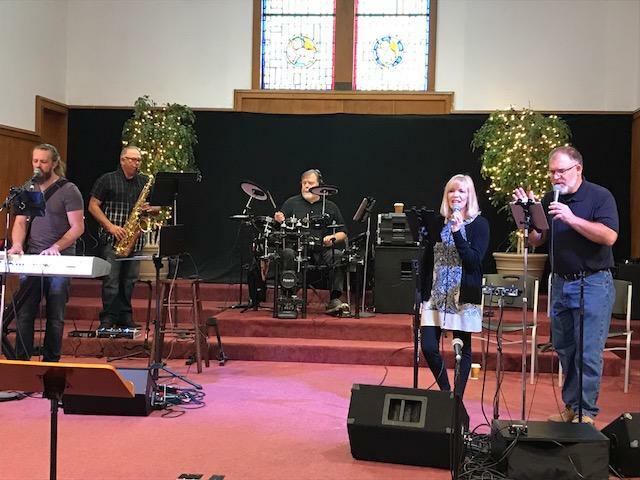 May the Lord bless Pastor Jonathan and Sandra Lewis along with this church as they join together on July 21 - 22 to celebrate this special occassion. 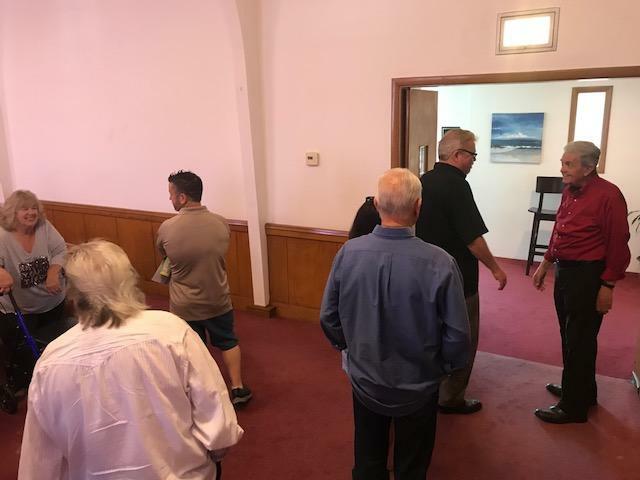 Pastors John Lee and Grace Kim just lost their father earlier this week. Pray for the Lord’s comforting care upon this family during these days. I will be leaving for the Amazon in Peru this Monday, July 9. We will be coming back home on Tuesday, July 24. I am so grateful for the opportunity you allow me to stay connected with the Lord’s work in the jungle, and I am thankful for the team members traveling with me who will be involved in so much work and ministry. Many of you know that I enjoy wearing some crazy looking socks. 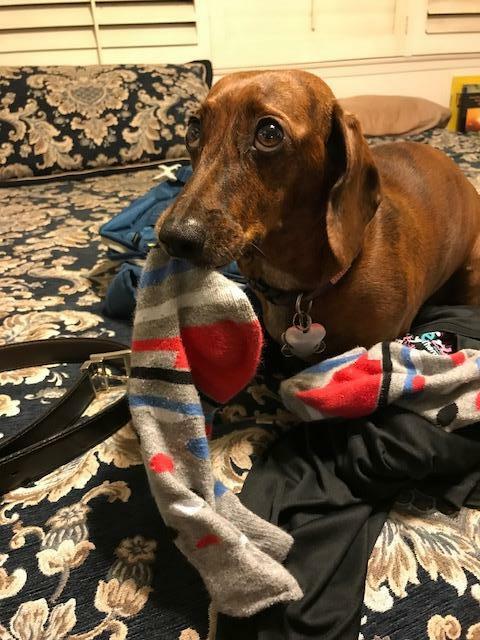 When I get home each night to change my socks and get comfortable, Bailey, our dog, is always waiting and anticipating the deposit of my socks so she can take over. I’m not sure what it is with my socks, but she snatches them any moment she can. So I leave you with a picture of Bailey and my socks. I love you all and I look forward to our next encounter together.